The right software can significantly increase your team’s productivity and business efficiency. Frankly, getting your whole team seamlessly use and get the most value out of the software might not always be easy. New software training, or in other words – onboarding – helps you succeed in that. 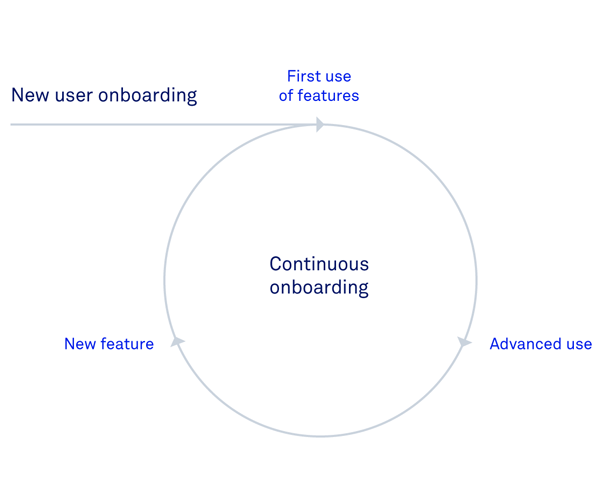 In this brief 5-minute read, you will fully understand what new software onboarding is, how does the process work, and why it is necessary for implementing new tools. In the more familiar Human Resource Management terms, Onboarding is as the mechanism through which new employees acquire the necessary knowledge, skills, and behaviours to become effective organisational members. Tactics used in this process include meetings, lectures, videos, printed materials, or computer-based orientations to introduce newcomers to their new jobs and organisations. Research shows that when employee onboarding is done correctly, it leads to better performance levels and higher job satisfaction. In technology terms, new software onboarding is in fact very similar – it is software training, that helps you and your team to be successful, by preparing you for using the new software and providing support in every step of the way. 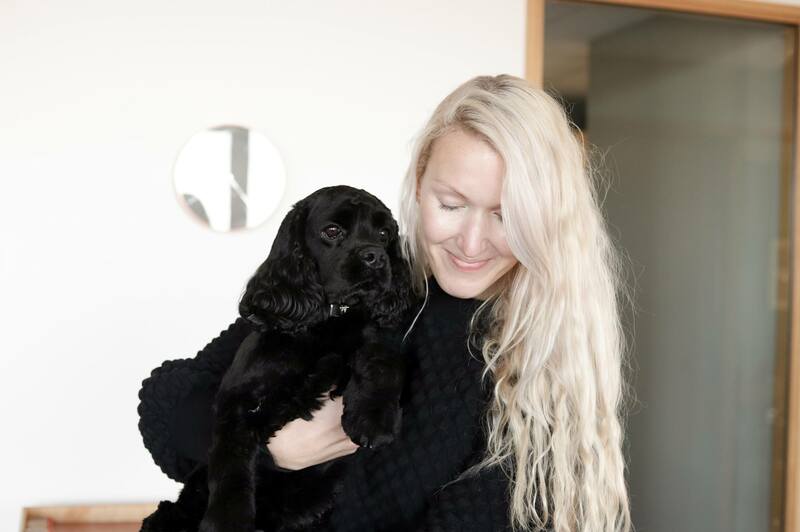 Onboarding is the phase you as a customer go through in between making the decision that you want to use new software, and being a fully set up user of this software, knowing exactly how to extract the most value from the new tools. So why is new software training so crucial in the process of implementing new software? Couldn’t you just learn everything by yourself? The answer is no. With more advanced software, such as business management software, there is usually an entire team or separate teams and roles, e.g. Sales / Marketing / Finance / Designers / Project Managers and Management, etc. within a company who will be approving and using the software – with differing experience and requirements. Technology needs to be reviewed, processes need to be changed, and colleagues need to be trained. Professional onboarding by experts who know the software inside out helps you through all of this. The style of onboarding very much depends on the type of software, but of course also on your company. With business software, modern onboarding starts with understanding you as a customer – your current situation, current setup, your priorities, what you want to achieve with the new software, and your definition of success. Based on that information, the software onboarding team will build you a customised project plan to guide you through the migration and implementation phase. Fun fact: when Microsoft asked their users what they wanted to be added to Office, they found 90% of the requested features were already there. They had just done a terrible job of onboarding the right users on to the right features at the right time. This proves that, in fact, onboarding should never stop. As software and service offering evolves and changes over time, and as new features are released, good onboarding should also make sure that these features get used, and benefited from by clients. 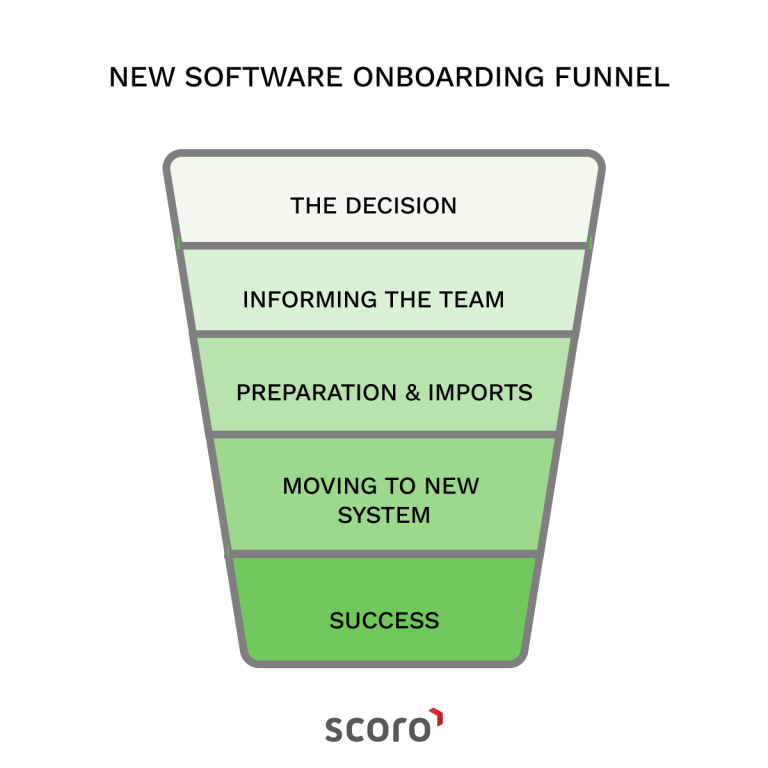 At Scoro, a professional Onboarding programme is designed for all new customers. With the help of our Onboarding Specialist, you will receive guidance all the way from how to properly configure Scoro, to your team training. When it comes to onboarding – guiding our customers to success – a one-size-fits-all approach just won’t work. We at Scoro have a personalised approach to onboarding, taking into account your company size and industry, business processes, software use cases and requirements, and various other details. WHAT DO YOU NEED TO KNOW AS A TEAM LEADER? A typical business software implementation process has five stages, each with different stakeholders and actions. 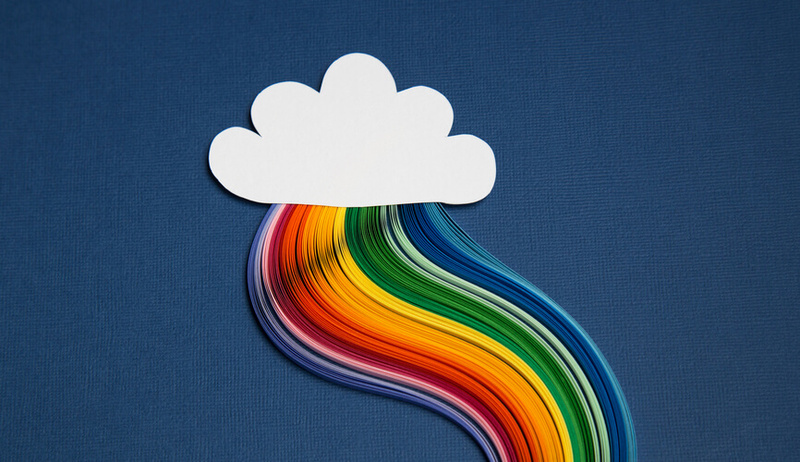 Your job as the team leader is to guide your team through the funnel with as little friction as possible, ensuring that everything’s working smoothly. It is also important that you keep the number of stakeholders in each stage at the minimum possible level to accelerate the process while not missing any important aspects. The initial decision – That’s when the management or team decides to start using new software. Informing the team – As you decide to use a new business app, it’s important to inform the entire team right from the beginning. Preparation and imports – In this stage, you’ll be preparing the new system for moving over with the entire team. That’s where the most difficult work happens. Moving to new system – Now that you’ve set up the new software platform and made it “inhabitable” for your team, it’s time to make the Big Move. Success – As experience has shown, this stage isn’t always an immediate success. Look at this last implementation phase as the time for smoothing out the rough corners and fixing any issues that might come up. 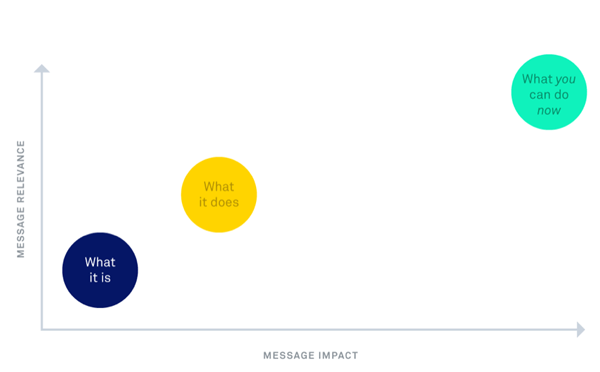 Our experience shows that the entire onboarding funnel including decision-making, informing your team, preparations and imports, moving to the new system and training your team might take a few weeks in total, of course depending on the size of your team and company. Moving your company from one software solution to the next can be a challenge. To understand the software and to get your whole team aboard with using the new software, professional onboarding is inevitable, at least with highly advanced business management software. Onboarding will firstly define where you are and where you want to get to, and then use a combination of software interface, communication, training, inside tips, etc. to ensure you are never stuck on the path to achieving your business success.